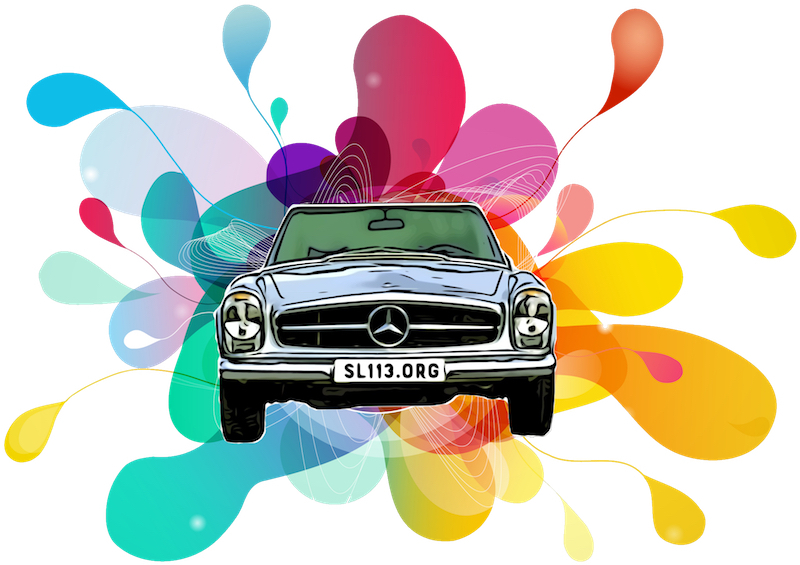 We are gauging interest in a Mercedes 113 event we are calling PagodaFest. Do you want to tour beautiful San Diego the first weekend of October 2019 with other Pagodas and Pagoda owners? Are you interested in learning more about your car? Would you like to meet and socialize with Pagoda drivers from all over the world? The expected event cost will be $300-$400 per person which would include most meals, venue costs, and other give aways. If you plan on staying at the event hotel, the additional cost would be around $600 total for three nights (room, parking). The format is expected to be a meet/greet/sign-in on Thursday evening, Friday Tech Day seminars and Saturday touring through San Diego. Within the two days there will be food, excitement, information, new friends waiting to be made, and old friends to enjoy. This is a fantastic idea and I will try be there for the Thursday night event and part of the Tech Day on Friday. Unfortunately the first weekend of Oct is also the last (and biggest) weekend of Oktoberfest in Munich so for those of us that make the annual trip to Munich this timing presents a confiict. Sounds like a wonderful weekend, but I have sadly sold my pagoda because didn’t feel like it was getting out enough (East coast weather often too hot or too cold). Wishing all the best! First i do not own a Pagoda but a w111 coupe with 220se engine that being relatively similar in some aspects to the 230se i use your magnificent group as a knowledge database (specially with the cold start machanisims). There is no better place in the web than your place. Second of all, i live in Spain. My wife and I had a great time at the VA event last year. We would love to drive our Pagoda in CA, but not the 3000 miles in between. Anyone else interested in shipping your Pagoda by the same carrier to the event from the NC-SC-VA area and spending a few extra days driving the CA coast? I may be interested in shipping my 1968 280SL. I live near Asheville, N C.
I would like to attend event but can't travel this far for this location. I can do East Coast and mid-states. Thanks for asking. I love these types of events. Good luck! PS. Full disclosure, I did ship the SL to nieces wedding in Napa Valley couple years back. Richard and Laura Simonds were kind enough to photograph the wedding! Great time by all. Great people I am met over years with the Mercedes clubs!!!! Anyone else interested in shipping your Pagoda by the same carrier to the event from the NC-SC-VA area and spending a few extra days driving the CA coast? I am in Birmingham and your transporter would pass within 20 miles of my house if he drove the shortest route. I would be interested in this possibility. I would love to attend but I wouldn't attend a gathering without my SL which is still under construction and restoration. (I am putting a M113 and 722.4 automatic transmission in it). Living in North Carolina, I would be very interested in an east coast event in a few years. I would be interested in shipping as well. I'm not up for a 40 hour drive from the East coast. I think this is a great idea and will look forward to developments. In the mean time, is there any chance the artwork on the original post could be made available as a poster? thanks a lot for the invitation, though I am a German resident and must check whether we can hopefully manage to attend the meeting in Oct '19. This is a wonderful idea! In San Diego not so much - Why not in the Pacific North-West? This here is the fastest growing area in the USA with the best weather: Not too warm, not too much UV to hurt our cars and - contrary to popular perception - always nice weather in the summer. Yes, we get about 30 inches of rain a year, but that is during the winter and spring. And - this is a big plus - I don't have to drive 1255 miles to get to San Diego. We have a very big car show on Father's day (June 17th) at Issaquah (15 miles from West-Seattle) and I have been showing my car there for several years now. Come on you Bigfoot W113 owners! I'm currently Pagoda-less. Could I attend in a 1959 Borgward instead? OK Will & Ralph, plus hopefully other members, I will start looking into transportation from east to west on a carrier to get a base cost now. Then we can work out the details. I am thinking that there are several members that would ship their cars and plan on spending a few extra days driving the coast before shipping the Pagodas back. Sounds like a great plan and city! I too would be interested in attending and shipping my Pagoda to he left coast (from SW Georgia). I do have a couple of questions, though. Is this event intended to replace PUB 2019 or will both events be held at principally the same time as PUB has been held in the fall of odd numbered years? If separate event, has there been any consideration to having them on opposite years as to eliminate folks from having to decide between two great events. Thanks for the planning and effort. Yes, I’d love to attend such an event, but as Amy previously stated it would be better to have the event more centrally located. I live in the Midwest USA so driving the car long distance would be torturous. That said, the car could be transported by a covered and secured carrier. One thing that would be mandatory is overnight protection of the cars. MBCA had a Route 66 Tour back in ‘06 which had numerous attempted break-ins at one of the stops. The tour was fortunate to have a few attendees who were living out of their MB “motor homes” which prevented further damage. Also understand how weather can be a predication as to locale of an event. San Diego has some of the best weather on the planet most of the year. I would love to attend, hopefully but unlikely my pagoda is ready by then. I would love to attend and drive my Pagoda. West Coast owners don't have enough get-togethers. Lets do it. It’s great to finally have a Pagoda event in California. Events always happen on the east coast for the years I’ve been a member. I’m definitely in. Nice idea. Thanks for the invite, but the restoration will not be complete by then. Given the Psychedelic logo depicting the event, As President of the Pagoda SL Group, I cannot condone or endorse the use of any Hallucinogenic substances, even if it is in Southern California. I may be interested in shipping too from Ohio. When I ran some quotes, looks like it is roughly $1,000.00 each way. I was told that you want to ship in an enclosed container, because evidently in the Western USA, Trucks or trains with fancy cars provide good target practice for bored cowboys. I am serious. My wife and I would love to attend something like this but would be much more interested if the event was in Northern California. Here is my 2cents on all of the suggestions on where to have the event besides San Diego. I suspect that the reason we are looking at San Diego is because we have members in the San Diego area that are willing to take this event on and are prepared to work hard to put it together to pull off a great event like the VA event. So, my suggestion is that anyone that wants an event somewhere else, you need to start working on what year you want to host the next event and then start planning it. Yes, I'd love to drive my 1966 230SL Euro version down to San Diego from Edmonton, Alberta - and enjoy early October sun there - before winter sets in here (and the car goes into the garage for 5 months) ! Also love to learn about technical issues and maintenance - and meet other Pagoda Passionates ! I am interested and excited about attending this event.I can help with arrangements for shipping the cars from the east coast. I do this frequently and could get prices from the most reliable transporters.i am happy to help in any way to pull off this SL happening! Definitely interested! Thanks to the organizers. As much as I would love to, it's too far to drive for me, and the timing doesn't work with other commitments! Sounds like a TERRIFIC idea! There are several Pagodas in Palm Springs and it is a fantastic drive over the mountain. I am sure we'll all show up. I am not sure if the others are members of the forum, but I will spread the work. I have already responded to the poll (yes). I will be attending, however, single. So if someone needs a Navigator (it goes without saying that gasoline costs will be shared), I'll be happy to volunteer for the service. Give me a PM. I just put it on my "Bucket List" and will combine the trip with 2 more side trips. One being to visit my former business partner that will be at his winter residence near Palm Springs and the other being a trip to The Mercedes Benz Classic Centre only 78 miles up north along the coast line. Who knows perhaps several others have the same idea to visit the Classic Centre while in the area. Last year I joined the Mosel Tour in Germany as a passenger, it was super fun, made many new friends it was a great outing. Sadly just too far, but would have interest if closer. My wife has been suggesting a trip to San Diego next year so when I saw this it was a no brainer to check the “will attend” box. Unfortunately, our SL will have to stay behind as it would be a bit too far to drive for us. I think that is a great event. The PUB in Virginia was my first event and it was spectacular. I will be at the San Diego event if at all possible. C'Mon, John (49er)! I was hoping we could caravan along with several others in our area. Sadly, we are already committed to be in Germany and Switzerland at that time - taking my dad on a Viking cruise up the Rhine to celebrate his 90th birthday! I would love to join the group in San Deigo. However as I will fly in from Australia I will be restricted to just the Tech day events. I will watch this thread for the final decision. The 2nd day is a "driving" event. It is not limited to pagodas only. Non pagoda vehicles can certainly join in the fun. We understand not everybody will be able to bring their cars. I would be interested but wouldn't be able to join the event. Never-the-less, thank you very much for taking the initiative to put the event together. Aww Shucks! Has to be the first weekend of October? Same weekend as the Hershey AACA show, the one show I attend each year. Carlisle is not the same as it used to be, so I stopped going. Could the Pagoda gathering be another weekend, would love to go back to SD area. I am a sucker for attending Pagoda events so I am another that would be flying in for the event from Australia. Easier this time being on West coast. Maybe I should take my car!!!! I want to give it a big drive. The Pagoda Fest sounds pretty good. The thing is that I am living in Barcelona, Spain. but in case that the event happens, I´ll be there in person. What is the event hotel? I would use it if it were a Marriott property. As a west coast resident I would be delighted to attend with my Pagoda and only have to drive around 10 hours! Thats what classic car owners should be doing, enjoying the drives and showing their cars around, no better joy than that. Wish you all a safe and happy event. ......as it would be a bit too far to drive for us. Come on John, almost identical to the distance we drove to PUB Virgina last year! Besides, if we don’t get these two almost original Pagodas together here, when will we ever do it?? Sorry guys, much as I would love show off my car, I am afraid the drive down I5 in the central valley with 80/90+ temps that time of year and the likely hood of Santa Ana winds over the passes into LA with it it's 24 hour bumper to bumper 12 lane freeways which pretty much continues all the way down to San Diego would be too hard on me (left leg in particular) and the navigator (no AC) let alone the car. It will be a short plane ride for us. I am however really looking forward to meeting all of you in person to share stories and the love we all have for these great cars. Well understood John. Looking forward to meeting you there! Hi, I would love to come back up from New Zealand, my wife and I had such a wonderful time at the PUB2017. Have mentioned it to my wife, she would like to come back to the USA again next year, but we have already "done" San Diego (and loved it). Will work on her. Great Idea. Wherever it will end up being, as long as it is within reasonable distance I'll be there. I missed PUB this year because of my move to CA. so I am desperate to make up for it especially if it happens on the West Coast.